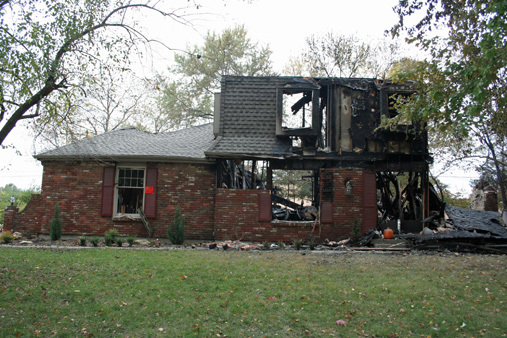 A house fire early Sunday morning left an eerie site in Leawood that has nothing to do with Halloween. 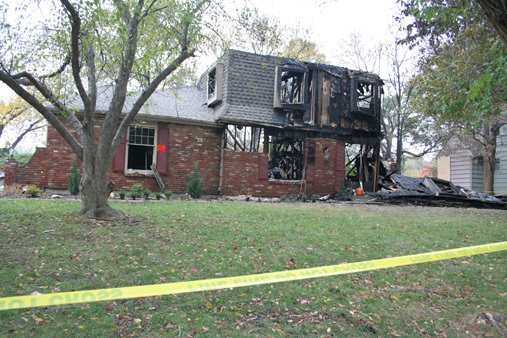 The home at 10308 Wenonga Ln., which backs up to Brookwood Elementary, was ravaged by a blaze that the fire department responded to at 4:15 a.m. Sunday. 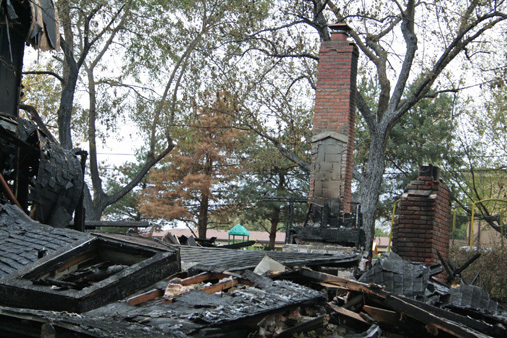 The fire department had the situation under control by 5:30 — but it wasn’t quick enough to salvage the property, which is almost completely burnt out. 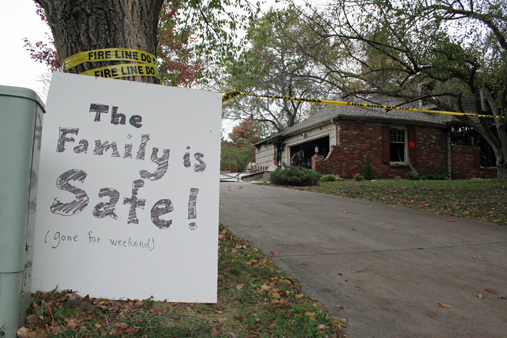 The family that lives in the home was out of town for the weekend, and no one was injured.